We are honored to serve families in our community. We thank the families below for allowing us to share their experiences with you. There are no words that can express my greatest gratitude for all of the help they gave my family and myself during our great loss. What we experienced from beginning to end was nothing less than amazing. We were treated like family, with such compassion and patience. Alvin was great, never leaving a question or concern unaddressed. My family was very comfortable and at ease knowing that our loved one was in great hands and care. They did an amazing job from start to finish and we greatly appreciate it. We would highly recommend the Pipkin-Braswell Mortuary to anyone who has suffered the loss of a loved one. While no one except God can take away the hurt and loss we experienced losing my mother, we are grateful to God for the comfort and care provided to us through this mortuary. The elegance, class, and care that you offer is the definition of sophistication. 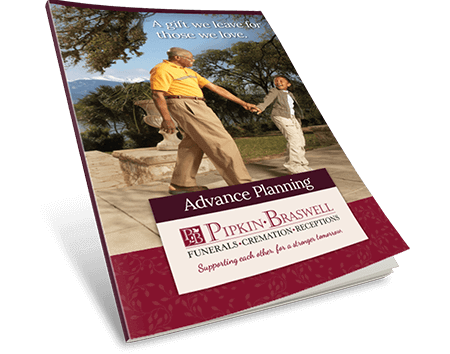 The Pipkin Braswell family helped make every step of funeral planning peaceful and comforting, and they did it with genuine care. On behalf of the Sanders and Littleton families, I want to say thank you and I will be forever loyal to you. Thank you for helping to give my family peace and joy in times of sorrow. My father passed recently. They took great care of him and treated our family with the utmost respect! The staff treated us like family and handled all our needs. My dad’s homegoing celebration was astounding because of the Pipkin Braswell staff! My family had never planned a funeral before, but Alvin especially, helped us throughout the process. He was very accommodating and understanding. Thank you so much for a wonderful experience during a difficult time! but Pipkin Braswell is the ONLY homegoing where the staff is loving, caring, supportive, and professional.